The smoke alarm other smoke alarms look up to. If you are wondering what to get that person who has everything, then have a look at Nest Protect. 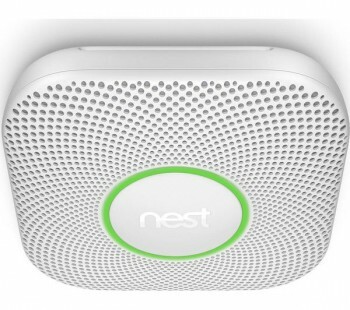 The new Nest Protect has been redesigned and is a smoke alarm that other smoke alarms look up to. Nest Protect in an industrial-grade smoke sensor that tests itself automatically and will last up to a decade. 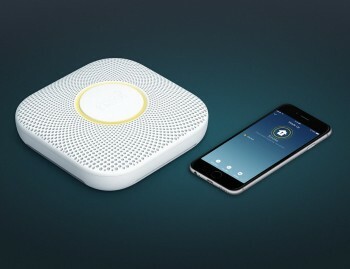 It is also the first smoke alarm that you can silence from your phone without any other extra hardware required. One feature that I think is amazing about the Nest Protect is that it has a human friendly voice that will give you an early warning. So if you have burnt your toast, it will alert you before the burning toast becomes a burning toaster. Also when one Nest Protect speaks, they all do. This means the alarm in your bedroom can tell you there is smoke downstairs. As I mentioned before the Nest Protect tests itself. We are supposed to test our smoke alarms monthly but most people forget; me included. The Nest Protect checks its batteries and sensors over 400 times a day ensuring it works correctly. It also uses Sound Check to quietly test its speaker and siren once a month. This Sound check takes less than 5 seconds and can be scheduled when you are out. This is simply done using the Nest app. Nest Protect also has Pathlight. This is brilliant feature as it means the Nest Protect lights up as you walk underneath it. Another clever feature is that the Nest Protect has a Steam Check so will not go off when you are in the shower. This device can also be linked up to your phone so if the alarm does go off it can be switched off from your phone. Alerts on your phone are also great as everyone in your family can know what’s going on. When something is wrong, Nest Protect sends everyone an alert. Nest Protect can also work with other Nest devices. For example, heating systems can cause carbon monoxide leaks. In an emergency Nest Protect can tell Nest Thermostat to turn off the heating to keep the danger from spreading around the home. Nest protect is a fantastic gift as it gives the recipient the feeling that their home and family is safer. The RRP is £109 and it is available from www.nest.com.